Mobile Home Parks are the ultimate Real Estate Investing Vehicle and the opportunity is ripe for those willing to educate themselves in this niche. 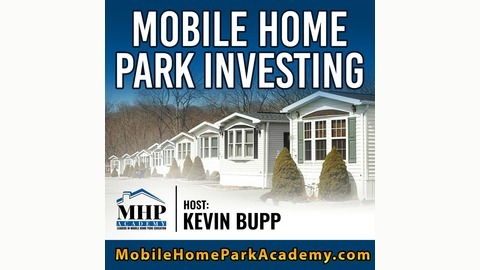 This podcast will teach you how to successfully invest in and build steady streams of passive income from the highly lucrative niche of Mobile Home Park Investing. Veteran Real Estate Investor, Kevin Bupp, from the Mobile Home Park Academy and Sunrise Capital Investors, will personally share with you the valuable lessons he's learned along his journey as a Mobile Home Park Investor so that you too can learn how to build massive cash flow and earn huge profits from this extremely lucrative niche. Our weekly show will be a mixture of self recorded shows with Kevin as well as industry expert interviews. Each show will be jam packed with high quality content and none of the fluff that you'll find in other shows. Our #1 Goal is to make you a better Mobile Home Park Investor! 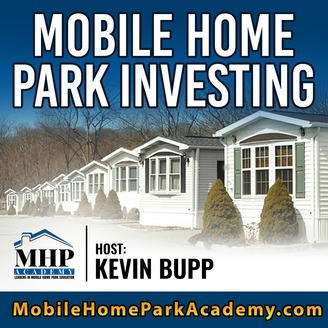 Today's episode of The Mobile Home Park Investing Podcast delves into the all-important topic of due diligence. Host Kevin Bupp is joined by Jethro van Aardt, the Director of Operations at Sunrise Capital Investors, and they break down the many moving parts and processes of due diligence--from kick off to title transfer. "Due diligence process, it's a pretty thorough process and a lot of sellers often get intimidated by it. They're worried that you're going to uncover something and it's going to completely throw the deal out so they get kind of secretive, which is pretty strange. It's counter-intuitive." "The offsite phase is critical. We need to know that we have the exact information. For example, simple things like the exact address of the property, the exact pad count, how many homes are abandoned, how many homes are resident-owned, how many homes are rented by tenants, etc etc. So it's verifying a lot of information." "DD is really just a long checklist and it's following that checklist and obviously you start off with the most critical things and, if you can get through those critical things from the top to the bottom, then you reassess and understand do you move forward or not." "Sometimes these places look really nice from the outside. When you get inside, they're in really bad shape. You need to understand the quality of the resident base. If anybody is prepared to live on the floors, you know that person's not paying the rent and they're probably going to skip the town in the middle of the night." "Unfortunately that's one of the painful things sometimes is that you can do all that prep work and offsite, think that you've covered everything but there's still going to be skeletons and that's why the onsite is so crucial."